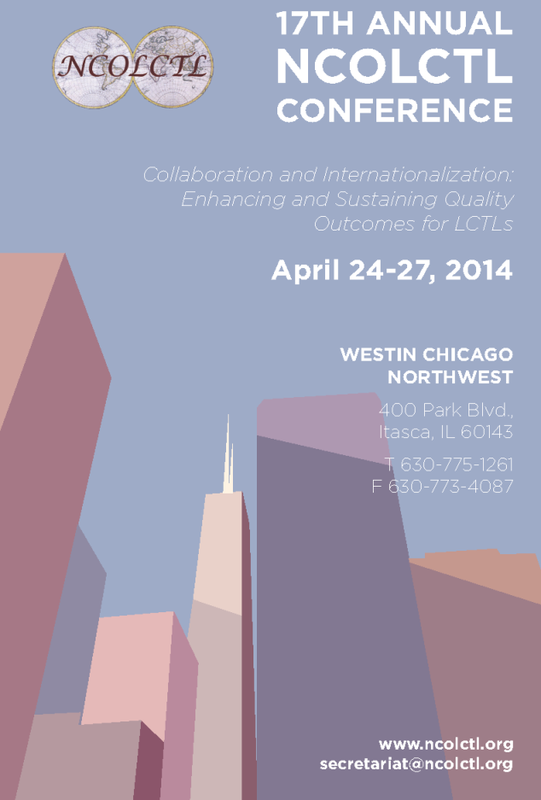 The 17th National Council of Less Commonly Taught Languages is scheduled for April 24-27, 2014, at The Westin Chicago Northwest, IL (with pre-conference workshops scheduled for April 24th, 2014). This conference brings together professionals from Academia, Government, Private Sector and Students in the field of Less Commonly Taught Languages (LCTLs). NCOLCTL constitutes a national mechanism devoted to strengthening the less commonly taught language professions and principally directs its efforts toward building a national achitecture for the LCTL field and in making the fields resources easily accessible to language programs and language learners around the United States. The theme of the 2014 annual conference is "Collaboration and Internationalization: Enhancing and Sustaining Quality Outcomes for LCTLs"